Graphics is an important part of packaging design, the main carrier of information on Color Red Wine Gift Box, and an important way to attract consumers' attention. Wine Package Color Gift Box size: single bottle (13*10*35cm), two bottles (23*10*35cm). 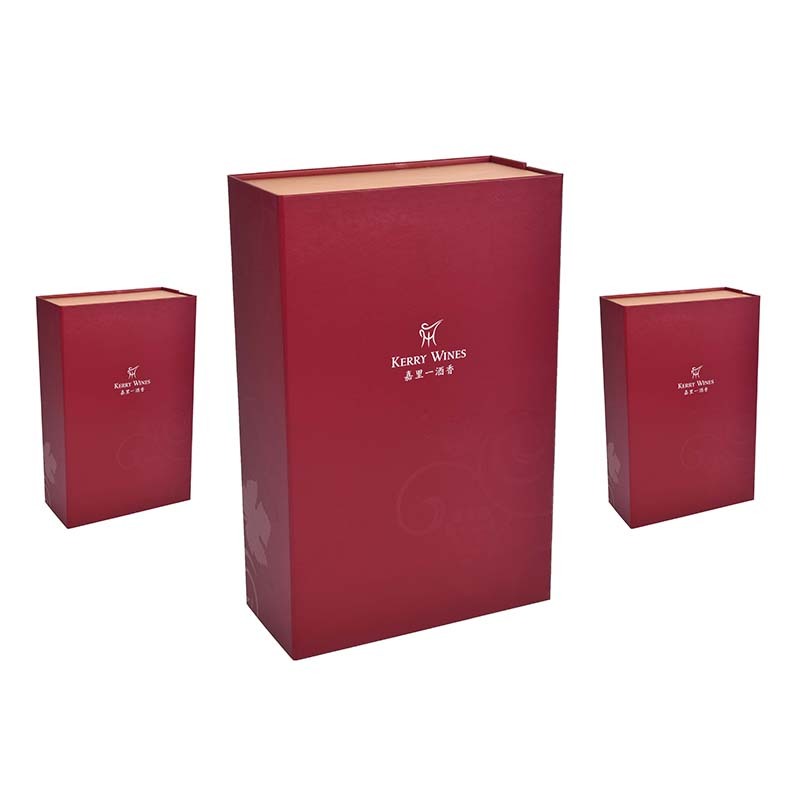 The whole box of Wine Package Gift Box is 2000g gray board and 175 copperplate paper, dumb rubber + burgundy printing + UV, and pearl cotton + flannel. The UV coating and embossed logo look shiny and beautiful, making the eyelash case a beautiful gift. Not only can you show your product, but the product has been protected very well. 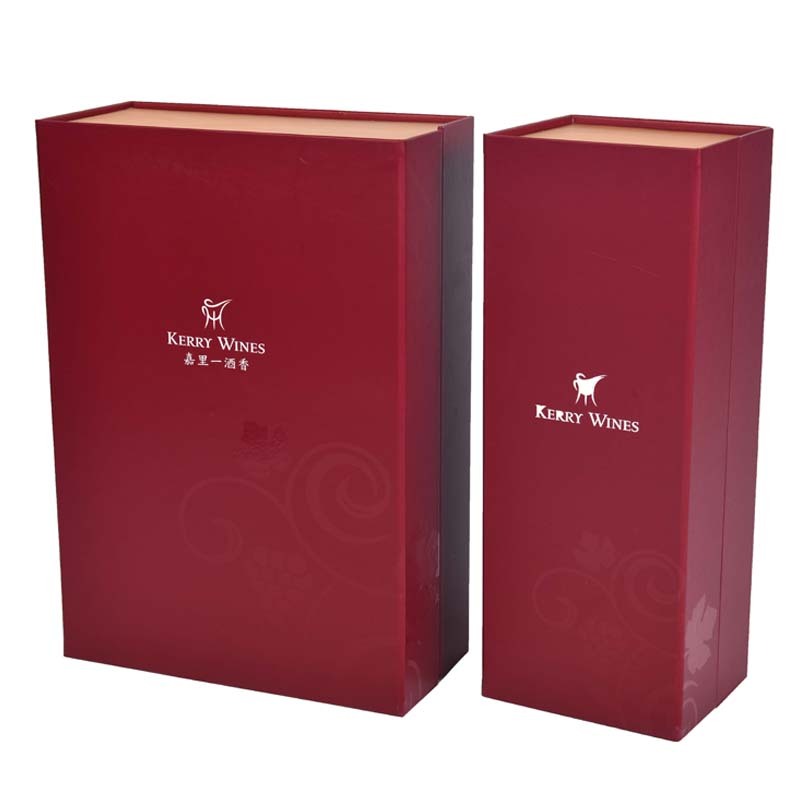 Even let the Red Wine Packaging Gift Box look more high-end, has an intuitive influence on consumers, is an important factor to arouse the consumer's interest in the product. These can be designed with your brand colors, brand logos, etc. to make your product stand out from the crowd. 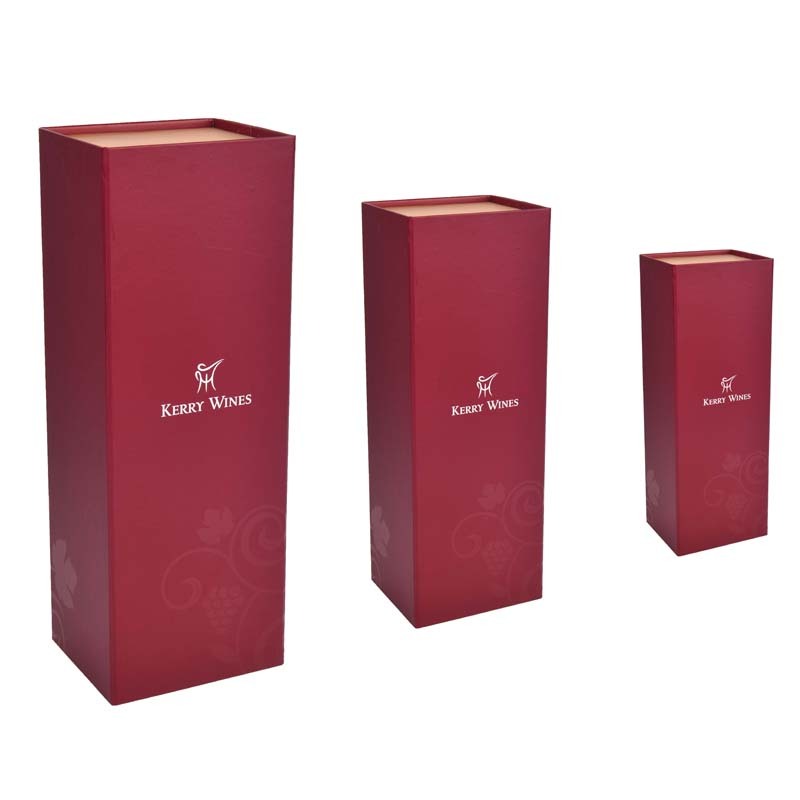 Looking for ideal Wine Package Gift Box Manufacturer & supplier ? We have a wide selection at great prices to help you get creative. 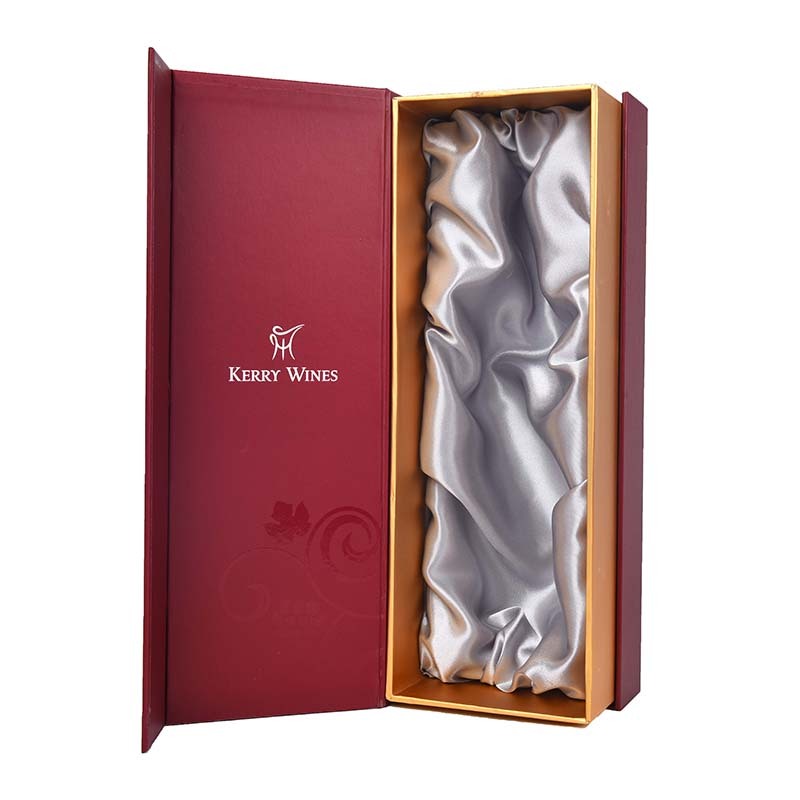 All the Red Wine Packaging Gift Box are quality guaranteed. 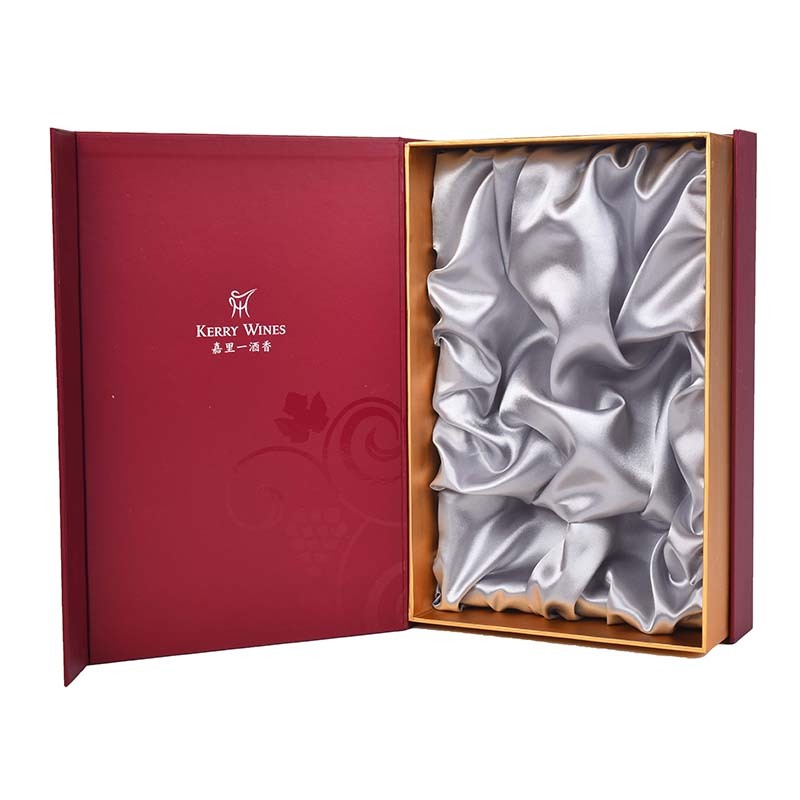 We are China Origin Factory of Wine Package Color Gift Box. If you have any question, please feel free to contact us.